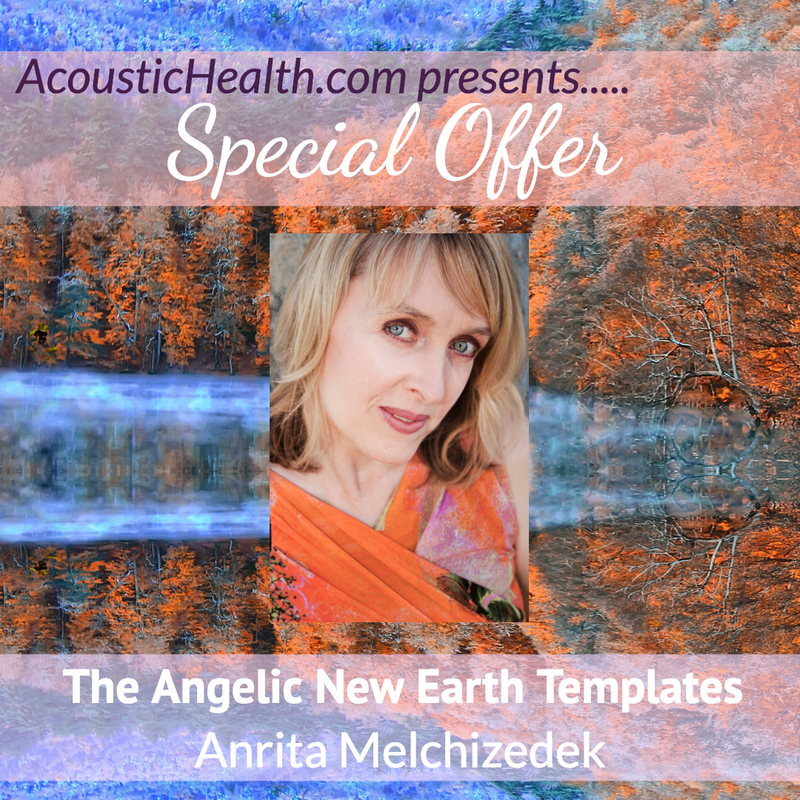 In this special offer, we experience ten beautiful Angelic New Earth Template transmissions. 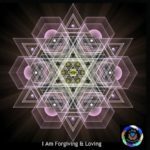 These Templates are igniting and activating for us at this time as we deepen into the New Earth timelines of Divine Love, create new blueprints, accelerate into our Soul’s Forward Evolution and experience Soul embodiment as we walk the path of Love. Overlighted by the Archangels and their Legions of Light, we experience the Templates of Health and Wellness, Forgiveness and Love, Gratitude and Appreciation, Consciousness and Intuition, Joy & Happiness, Insight and Compassion, Abundance and Manifestation, Power & Strength, Divine Love, Peace & Calm. All transmissions are done in the form of invocations, allowing us a deepening experience of the Angelic Templates and related Archangels. You can play these invocations aloud, or put it on silent and play through the night and still receive the benefits to these light encoded frequency transmissions. This package also includes a series of eight Angel Source Music Mp3’s by Frits Evelein as well as a bonus Mp3, the Rays of Creation. Enjoy! In this beautiful Angelic Invocation of Divine Love, we are Overlighted by Archangel Chamuel, and offered an opportunity to release and heal the wounds of perceived separation with open hearts, whilst shifting any karmic relationships with partners, ex-partners, mother, fathers and children in particular. Additionally Diamond Light codes ignite within the body, bringing online the Diamond Solar- Plasma Light DNA Upgrades and taking us deeper into our loving hearts as Flames of Divinity walking this Path of Love. In this invocation of the Angelic Template of Healing & Wellness, we are Overlighted by Archangel Raphael as well as the Galactic Healing Teams as we explore the Emotional Energy Centers and clear the remnants of old false beliefs and judgments, dis-comforts and dis-ease, while embracing the full range of our emotions. In the embrace of our full range of emotions, we accept, appreciate and celebrate all that we are as aspects of God’s creation of Divine Love. 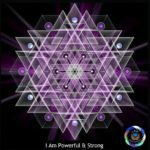 We understand how each perceived challenge is an initiation of Light, taking us ever deeper into our blossoming, our magnificence and our Light whilst clearing the karmic timelines to know ourselves as Love. In this transmission, we are invited into the Temple of Intuition and Wisdom Overlighted by Archangel Uriel. Within this beautiful Temple of Light, we merge with our Divine Feminine Spirits as we come into the knowing of the intuitive wisdom that we have and hold as we walk this path of Divine Love. This intuitive wisdom and deepening innocence, is expressed in listening to the universe whilst having the understanding of why things are as they are, and how to move forward lovingly and responsibly, no matter how uncomfortable the experience may be. slow down as we invite the stillness within to amplify through our Divinity, through the Presence of the Divine. Through our Master eyes, we no longer question the universe, we no longer seek validation from others. All is within as we accept and embrace All That Is. Additionally, we experience a pineal gland activation enhancing our intuition and understanding. and freedom and the acknowledgment that we no longer need to attempt to please others as we release old vows and contracts. We receive our Diamond Sword of Holy Truth, Crystalline Shield of Light and Golden Helmet. 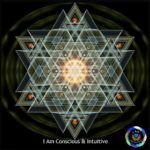 As the fearless warriors of Light, we merge with our Divine Masculine Spirits and journey into releasing old karmic cords, healing relationships that have wounded us, understanding our pre-birth agreements, and viewing the Akashic Records; so that these timelines too may dissolve into higher trajectories of increased consciousness and Light. Additionally we activate the hypothalamus, this tiny structure of the brain responsible for our flight, fight or freeze response as we find new ways of conscious communication in all our relationships. 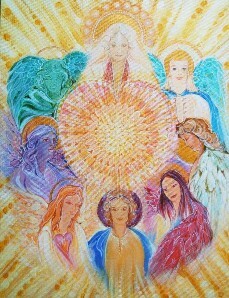 As the Angelic Template of Forgiveness & Love ignites within our loving heart Overlighted by Archangel Zadkiel, we release unresolved issues, false beliefs and judgments with greater levels of insight and compassion as we recalibrate the central nervous system and sensory system as well as experience a rebalancing of the pineal, hypothalamus, thalamus and pituitary glands. We further release the vestiges of the old human programming of lack of and victim and persecutor consciousness and with it, we deepen into the knowing that the changes we wish to create within our own lives and upon this sacred earth are already here, NEW EARTH IS HERE, being tangibly experienced as we Love all that arises and deepen into our magnificence and Light. Through the Angelic Template of Abundance & Manifestation, we draw upon the New Earth Blueprints to create “new” levels of manifestation and abundance through our heart’s dreaming and joy Overlighted by Archangels Uriel and Chamuel. 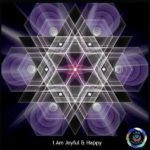 It is truly a time when projects that have been put on hold can now unfold and Divine Inspiration guides us ever deeper into the joy and delight and abundance of 5D living. 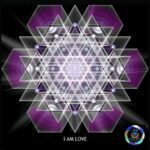 the Solar Crystalline Unity codes through the Unity Grid of Divine Love for all awakened Souls choosing the path of Divine Love. Archangel Uriel comes forward, wrapping us in his Golden Flame of Light and Ruby Red and Golden Angel Wings of Love as we experience the Angelic New Earth Template of Insight & Compassion. We connect to the Golden Dragons and experiencing the Golden Dragon Breathing as we release blame and judgment, meet every challenge with compassion, understanding and acceptance, rebalance our Divine Masculine and Divine Feminine Spirits and activate the thymus gland. In this beautiful Angelic New Earth Template of Grace and Appreciation, we are Overlighted by Archangels Jophiel and Uriel. Wrapped in a Golden-Yellow Flame we open the doorway of our heart to the blessings and gifts of the universe, magnetizing and manifesting all that we need in any given Now moment. We enter into greater moments of “timelessness” as we access our innocent, magical child and merge with our Beloved I Am Presence. 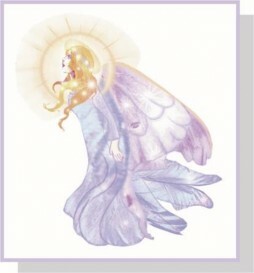 In this beautiful Angelic New Earth Template of Peace and Calm, we are Overlighted by Archangel Chamuel, the Angel of Love and Peace and and Archangel Gabriel, the Angel of Conscious Communication. We are shown the gifts of Love and Peace that we deepen into, when we embrace and love all that arises whilst entering the silence of the loving heart. Additionally we deepen into the Rainbow Light Body, in which we are the conduits of God’s Divine Love, dreaming into creation the service roles most supportive to our Light work. 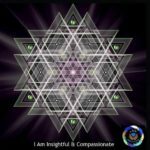 At this Light Body level, we merge with our Higher Selves, and remain within the loving compassionate heart as we continue to clear old programs at a cellular level. In this invocation, Archangel Jophiel, the Angel of Joy steps forward, wrapping us in her beautiful Flame of Light as we deepen into our creative gifts with joy and delight, whilst merging with our multidimensional Selves/Higher Selves through the Christed Timelines of Light. 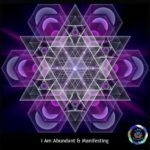 Additionally, we experience aspects of the Diamond Plasma Crystalline Light Body, which takes us into the merging and integration of our Beloved I Am Presence, where all is One, and all is Light. New Earth is a constant reality and all that we need, we instantly manifest as the Light of God/Goddess That We Are. 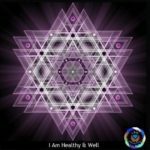 frequency further creates intervals and tones that have harmonic healing effects on our consciousness and energy bodies. commercially or on any of your videos/public works. 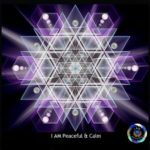 In this beautiful transmission, through the Overlighting of Mother-Father God and our Beloved I AM Presence, we experience the activation and integration of the Rays of Creation. 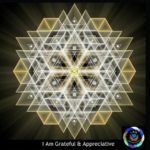 These 12 Great Rays spiral forth from the Cosmic Heart of Mother-Father God through the Great Central Sun, the Central Sun and Galactic center, through the Sun and Solar system and into Shamballa and on to the Sacred Earth.